"The last thing I expected to do was marry a man eighteen years older than I was who owned a restaurant. The fact that the restaurant was the Russian Tea Room on West 57th Street in New York, I expected even less...."
So begins The Russian Tea Room: A Love Story by former owner Faith Stewart-Gordon. Charming and revealing, this highly anticipated memoir shows why the legendary restaurant lives up to its reputation -- and then some. Rudolf Nuteyev told Time magazine that the Russian Tea Room was what he liked most about America. Carol Channing regularly dined there for lunch -- on mysterious items she'd bring herself in a lunch box. Leonard Bernstein scribbled the first bars of "Fancy Free" there on a napkin. And Dustin Hoffman made his hilarious and unforgettable first public appearance as a woman from the famous movie Tootsie at the Russian Tea Room. Now, just in time for the Russian Tea Room's long-awaited reopening, comes this delightful, anecdote-rich story of the famed New York eatery -- and more. It's not just about a famous place, it is a true memoir, at times very funny, always touching, sometimes sad, and often revealing, about a brave and quirky young South Carolina woman, Faith Stewart-Gordon. From the early 1950s and acting on Broadway to her marriage to the Russian Tea Room owner Sidney Kaye and her subsequent struggles to operate the restaurant after his death, she balanced a career and young motherhood, a journey with which many will empathize. Faith Stewart-Gordon never lost sight of what went on behind the scenes, both in the restaurant and in her own life. In its heyday--the mid-1980s--the Russian Tea Room was a celebrityforce field, known more for its clientele than its food. 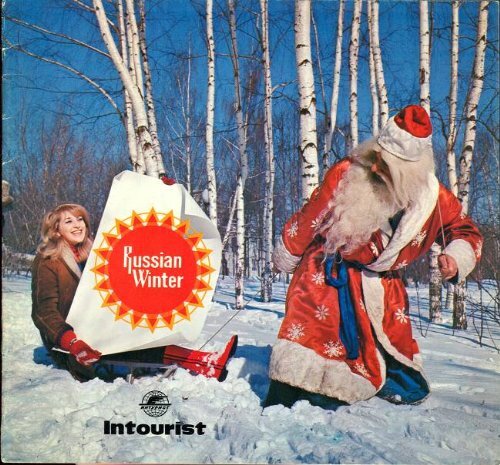 Frequented by thelikes of Jackie O., Rudolph Nureyev, and Leonard Bernstein, it had mutatedover the years from a homey refuge for expatriate Russians, musicians, andnot-always-solvent artists to a big-deal lunch-spot in the swollen New Yorktradition. Faith Stewart-Gordon, the Tea Room's owner from 1967 until its1996 sale, saw it all and has put much of it down in the inevitably namedThe Russian Tea Room: A Love Story. Part autobiography, partreal-estate memoir, all celebrity roll call, the book provides a decentshare of the titillation it promises, a diverting bang for the buck. Tracing her life from her early days as a would-be actress, Stewart-Gordonrecounts her marriage to Sidney Kaye, from whom she inherited therestaurant; motherhood (a troubled daughter); intermittent affairs(glancingly depicted); a second marriage (ending in divorce); Tea Roomstewardship (resistance from the staff at first then respect and triumph);and the final decision to sell the store ("to find closure" and "begin anew life")--and more. Stewart-Gordon does best when recounting thereal-estate wars and other nitty-gritty matters that beset the Tea Room,which is situated on very valuable land, indeed. She is, however, hamperedby her use of a circular narrative, which anticipates many events, leavingthese touched-upon but frustratingly unexplored. (We learn, for example, ofher first husband's death in passing--chapters before we get to theactual details.) It's a parenthetical approach that dissipates whatnarrative steam the author manages to generate. When heralding the reopening of New York City's fabled restaurant The Russian Tea Room, a glitzy magazine headlined "Champagne Wishes and Caviar Dreams. "Its new owner,the article trumpeted,unwrapped "a fabulous Faberge' egg of a restaurant"- 37,000 square feet, six stories of opulence including Tiffany glass-made ceilings and an ice sculpted replica of the Kremlin that is replaced thrice daily. Despite the $22 million dollar renovation it's hard to believe that this West 57th Street watering hole for the glitterati could be any more exciting today than it was during the years described by Faith Stewart-Gordon in The Russian Tea Room: A Love Story. A Southern belle and sometime actress Ms. Stewart-Gordon was married to Sidney Kaye, an exuberant, mercurial man of Russian descent who ran the Tea Room from the mid-40's until his death in 1967, when Ms. Stewart-Gordon took over the operation. She observed the bistro's halcyon years - days when regular patrons were theatre luminaries such as Arthur Miller, Carol Channing (who brought her own food), Paul Newman (who delighted in arriving sans reservation), , Joanne Woodward, Liza Minnelli, Sidney Portier, and countless others.That was the time when Zero Mostel convulsed diners as he pretended to be a waiter, and a staff that was used to their A-list clientele surreptitiously watched Jackie Onassis and Mike Nichols lunching in the number one booth. Born in South Carolina, the daughter of a woman whose only contact with a kitchen occurred when she heated canned mushroom soup for their Sunday night suppers, Ms. Stewart-Gordon seemed an unlikely bride for an urbane restaurant owner 18 years her senior.She had gone to New York City in the early 1950's in search of an acting career not a husband. But, then a friend introduced her to Sidney Kaye, a man she describes as not "conventionally handsome" but "vitally attractive. "Despite her gaff of wearing a "lime green nylon wash-and-wear dress" on their first date and following a two-year "Sturm und Drang" courtship, the two were wed. Thus began Ms. Stewart-Gordon's initiation into the New York restaurant world.This was a turf where the pecking order was set in stone, and territorial lines were not to be crossed. She learned this lesson well when she once made the unconscionable error of seating patrons when that was clearly the bailiwick of a haughty but able seating captain. For a time following her marriage Ms. Stewart-Gordon focused on domesticity, even taking cooking lessons from a Cordon Bleu graduate.Regrettably, after tasting her Veal Orloff, Sidney returned to the restaurant for dinner.Only a minor setback, but she then centered on The Russian Tea Room until the birth of their daughter, Ellen. Ms. Stewart-Gordon's reminiscences of life at the RTR (as it was known to insiders) is also a chronicle of business and Big Apple history.She discusses the 1959 launching of the Diners Club and its impact on the restaurant industry, the groundbreaking for Lincoln Center, the advent of new forms of dining, and other innovations that affected both patrons and owners. 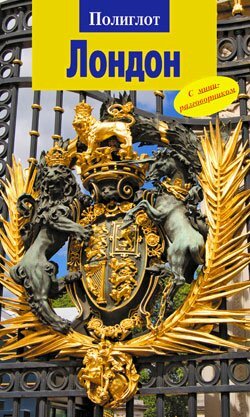 These observations are studded with remembrances of the famous who happily swung through the RTR's revolving doors.While at times the author's attention to minutia can be tedious, such as a detailed retelling of her battle with City Hall, The Russian Tea Room is light, entertaining reading - often as spicy as a good stroganoff. Piqued by the description, I bought this book for my mom for Christmas. She read it and then lent itto me. I just read it, and am now convinced that I should buy my mom another Christmas present. How disappointing.There is a great deal of interesting content here, however the writingtechnique (or lack of it) becomes an obstacle to enjoying it. It's liketaking a ride in a psychotic New York time machine: The book jumps fromthought to thought and from era to era. The services of a ghostwriter wouldhave improved this story immensely. In addition, it appears that theauthor is making the assumption that her readers are born-and-bred NewYorkers. She has opportunities to expand on aspects of New York life thatwould be interesting to outsiders, but she chooses not to pursue them. I read Ms. Stewart-Gordon's book with great interest, as I worked as a waitress at The Russian Tea Room from 1971-1976.I learned a few historical things that I didn't know, and it jogged my memory on otheritems of interest.I also greatly admired the author's bravery and candorin describing her relationship with her daughter Ellen.However, I foundthe "behind the scenes" portions not as revealing and newsy as Iexpected. I found the book a bit dull in many parts, and it was poorlyedited. I am, however, thrilled to have this volume to pass on to my son,as an important part of his mother's history, as well as a piece of NewYork City's history. A lively history of an equally lively restaurant. For almost a century Manhattan's Russian Tea Room was a magnet for patrons of the arts, from music and drama to ballet and publishing. Here the woman who owned and ran the restaurant for almost thirty years provides a surveyof its evolution, from her initial dreams of a famous New York career toher marriage into a restaurant. A lively survey of a famous establishmentabout to re-open. 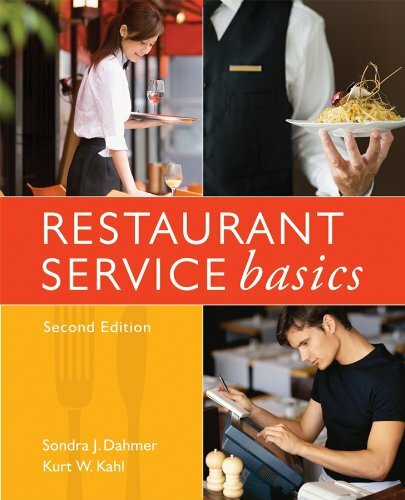 As a curriculum designer and training manager, I highly recommend Restaurant Service Basics.It is an excellent training tool for hospitality programs, inhouse restaurant training program as well as the individual wanting to seek restaurant employment.Every aspect of restaurant service is covered thoroughly. All restaurants should have a copy on the shelf as a basic reference for those infrequently encountered situations.This valuable resource has been published for a number of years and regular new editions keep the content fresh and current. I bought this book based on the editorial and customer review. Service basics is an overstatement. Do not buy this book unless you have never dined in a restaurant. It will not help you at all if you know anything about the business. The book is filled with helpful gems like "The course that is usually served first is the appetizer. The appetizer is a food item served before the meal..." Wow thanks! What's a Napkin? The computerized service system is at least 10 years behind industry standards and serving from the left with the left hand is not the way it is always done. Stick with the Culinary Arts Institutes "Remarkable Service" It is by far the best there is. Great material on restaurant service basics!! Steve Heimoff takes readers on an intimate and enlightening tour of one of California's most diverse and accomplished wine areas as he travels along the Russian River and talks with growers and vintners from the Cabernet country of the Alexander Valley to the Pinot Noir producers of the Sonoma coast. This first comprehensive look at the natural history and winemaking practices of the region by one of America's most respected wine critics brings the Russian into the exalted company of the great wine rivers of the world--the Loire, the Rhône, the Rhine, the Mosel, and the Douro. Part wine guidebook, part history and geology, and part travelogue of the author's adventures in wine country, A Wine Journey along the Russian River is essential reading for wine lovers--both those fortunate enough to be familiar with the region and those who have never been there. This is a terrific read that provides an entertaining discussion of the various forces (geologic, weather, business and personalities) that shape the Russian River region and its wine. Steve Heimoff has written a wine book, a geology text, and a history lesson all in one volume. A superb treatment of several complex subjects, he writes with an intense love of his subjects....and has obviously spent an enormous amount of time researching each facet of it.It should be a must for anyone interested in California wine. Along the Russian River. . . . . . .
. . . . which flows into the Pacific Ocean north of San Fransisco, is a marvelously varied strip of wine country. 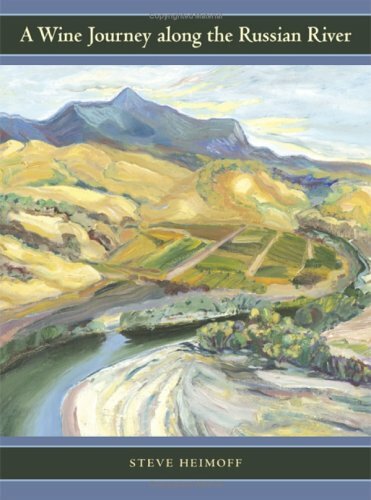 The river itself, as author Steve Heimoff makes clear, cuts its way through many different wine areas, and so this geographical feature--rather than winemaking itself--constitutes the unifying theme of the book. This book which is filled with the sense of place, could be just another great American travelogue. But contrary to expectation, Heimoff abandons the river for a chapter on clones and the politics of American Viticultural Areas. Now before your eyes glaze over, I have to agree with Heimoff that the business of creating new grape varieties and cloning them may be at the heart of the improvement in American wine for the next several decades. He is one of the first popular wine writers to recognize this and explain it all in layman's terms. Expelled from the Soviet Union in 1972 and honored with the Nobel Prize fifteen years later, poet Joseph Brodsky in many ways fit the grand tradition of exiled writer. 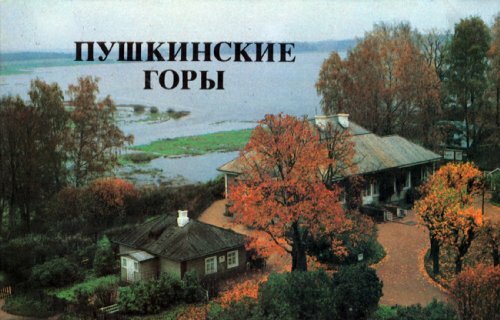 But Brodsky’s years of exile did not render him immobile: though he never returned to his beloved Leningrad, he was free to travel the world and write about it. In Brodsky Abroad, Sanna Turoma discusses Brodsky’s poems and essays about Mexico, Brazil, Turkey, and Venice. 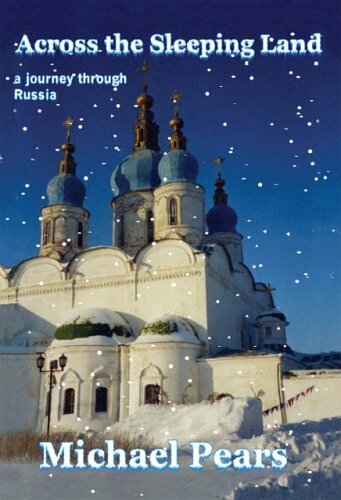 Challenging traditional conceptions behind Brodsky’s status as a leading émigré poet and major descendant of Russian and Euro-American modernism, she relocates the analysis of his travel texts in the diverse context of contemporary travel and its critique. Turoma views Brodsky’s travel writing as a response not only to his exile but also to the postmodern and postcolonial landscape that initially shaped the writing of these texts. In his Latin American encounters, Brodsky exhibits disdain for third-world politics and invokes the elegiac genre to reject Mexico’s postcolonial reality and to ironically embrace the romanticism of an earlier Russian and European imperial age. 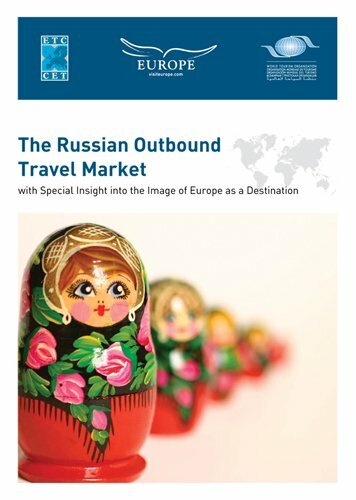 In an essay on Istanbul he assumes Russia’s ambiguous position between East and West as his own to negotiate a distinct, and controversial, interpretation of Orientalism. And, Venice, the emblematic tourist city, becomes the site for a reinvention of his lyric self as more fluid, hybrid, and cosmopolitan. 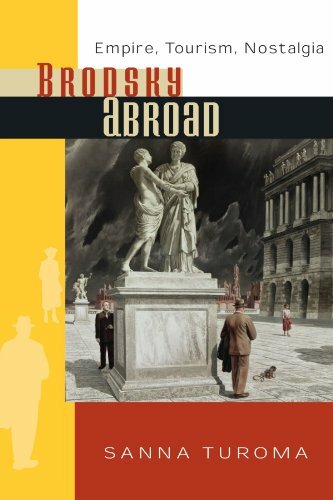 Brodsky Abroad reveals the poet’s previously uncharted trajectory from alienated dissident to celebrated man of letters and offers new perspectives on the geopolitical, philosophical, and linguistic premises of his poetic imagination. Being mugged at knife-point by a friendly taxi driver; suffering from frostbite on various appendages; being mauled by some of the many ravenous stray packs of dogs which roam the nation; attending weddings, hunting expeditions and beauty pageants - discover these and more mis-adventures which befell the author during his 10-month jaunt across the largest, most intriguing and exasperatingcountry in world.Unearth for yourself the untold joys of Russia's very own International Women's Day, Maslenitsa and New Year's Eve celebrations, in a journey which stretches from Vladivostock to Murmansk, and takes in the history, architecture and customs of over 30 towns and cities en route, and includes a special detour section through China and Mongolia.